NEW YORK (CBS/AP) Two former Bear Stearns hedge-fund managers have been acquitted of lying to investors. The case centered on the implosion of the subprime mortgage market, and is a government defeat in the first attempt to hold Wall Street criminally accountable for the housing market meltdown. A Brooklyn jury found Ralph Cioffi and Matthew Tannin not guilty Tuesday on all counts of conspiracy and fraud. Prosecutors claimed the pair hid warning signs their funds were about to implode, alleging the fraud cost 300 investors about $1.6 billion. 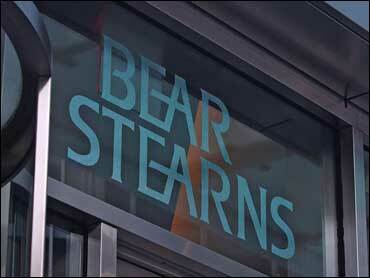 The domino effect nearly led to the demise of Bear Stearns itself. The firm barely avoided bankruptcy in a rescue buyout by JPMorgan Chase & Co.
After the verdict, some jurors told reporters that they concluded the evidence against Cioffi and Tannin was flimsy and contradictory. Other suggested the pair were being blamed for market forces beyond their control. "How much can two men do?" said Aram Hong. Said Serphaine Stimpson: "They were scapegoats for Wall Street." In a statement, U.S. Attorney Benton Campbell said, "We are disappointed by the outcome in this case, but the jurors have spoken and we accept their verdict." During a monthlong trial, prosecutors relied on a series of e-mails they alleged revealed behind-the-scenes alarm at the hedge funds as investments in complex, high-risk securities tied to the subprime market began to slide.